How do you respond to the question of what are we supposed to be doing during the season of Advent? I imagine that most of us would respond that we are getting ready for the birth of Jesus. Perhaps some will associate this preparation with the decorating, shopping, baking, gift exchanging and card writing. All good things… but Jesus is inviting us this Advent to not to get lost in the tide of “doing”. 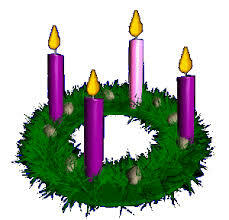 We begin the season of Advent reflecting on three different comings of Jesus. Our first reading from the Prophet Jeremiah speaks about the coming of the Messiah: The days are coming, says the Lord, when I will fulfill the promise I made to the house of Israel and Judah. It is easy to associate this reading with the celebration of the birth of our Lord. Today’s second reading speaks about another coming, perhaps not so obvious. May the Lord make you increase and abound in love for one another and for all… This reading invites us to reflect on the coming of Jesus to us now! Jesus comes to us in the least of the brothers and sisters in Christ. If we miss Jesus in those who are in need, corporally or spiritually, then we will miss Jesus on December 25th, in the Eucharist and at the second coming. St. Paul invited the Thessalonians to use well the time they have to increase and abound in love for one another and for all. An invitation certainly extended to us as well. And then they will see the Son of Man coming in a cloud with power and great glory. In today’s gospel, we hear about the coming of Jesus again, at the end of time and the Last Judgment. Jesus said to his disciples:… Beware that your hearts do not become drowsy… Be vigilant at all times… Jesus’s words are timeless. We are not to get swept away in the current of daily living, with all of its problems, challenges and sometimes anxieties. Let’s take the time this Advent to focus on Jesus’s coming to us in our midst today!